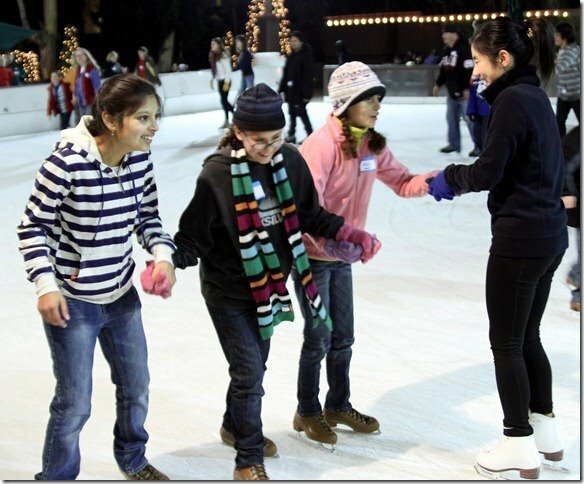 We participated at the annual ice skating party hosted by the Vista Center for the Blind and Visually Impaired. The Winter Lodge in Palo Alto was packed, with nearly 30 families present! The Youth Group kids had tons of fun, and many stepped on the ice for the first time in their lives. 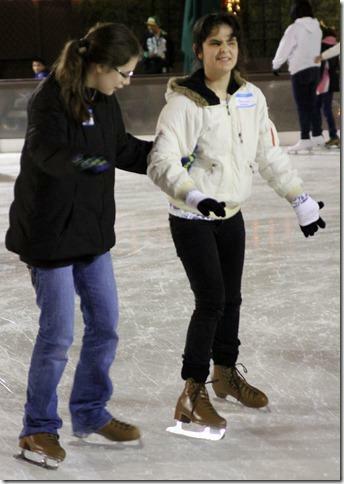 NVOT members were among those who guided inexperienced skaters on the ice in addition to helping to serve dinner, lace skates, and other miscellaneous activities. After pizza, drinks, and desserts were served several hours into the event, we ended on a happy note with artificial snow drifting over the children.